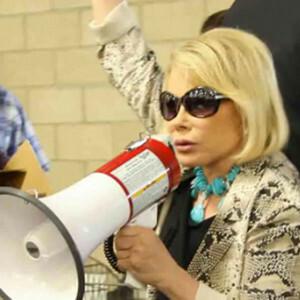 So let’s get this out of the way right off the bat–Joan Rivers’ publicity stunt, where she went to a Costco and began to rant about various odds and ends because they wouldn’t carry her book wasn’t funny. It wasn’t offensive, it just wasn’t funny, and more so than any such rant designed simply to gain attention would be. It was, however, successful, at the least in the sense that it got her attention, albeit it not necessarily from Costco shoppers. You are ceding too much. The Jewish world would be far better off if the ADL closed up shop. I think it’s time that the ADL admit that it’s like March of Dimes, and that it’s initial aims have been largely achieved. It has a mission statement in dire need of updating because it’s activities barely match. That being said – anyone looking for a job in fundraising – the ADL is always hiring those positions. You see, this is what happens when old Jews manage to ditch their caretakers.